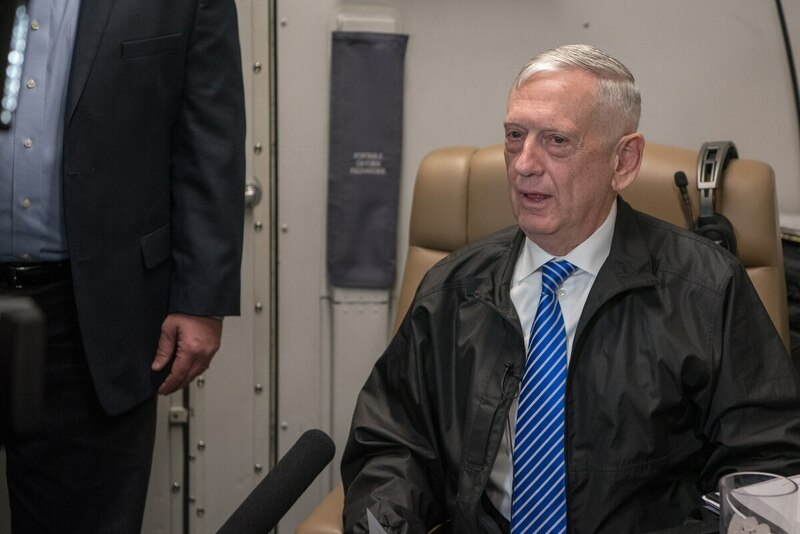 MUSCAT, Oman — U.S. Defense Secretary Jim Mattis on Sunday warned the Syrian government not to use chemical weapons in its civil war and said the Trump administration has made it clear that it would be “very unwise” to use gas in attacks. The Britain-based Syrian Observatory for Human Rights monitoring group says an indiscriminate campaign of government and Russian air strikes and shelling has killed some 1,100 civilians in rebel-held eastern Ghouta over the past three weeks. The U.N. estimates 400,000 civilians are trapped in the siege. 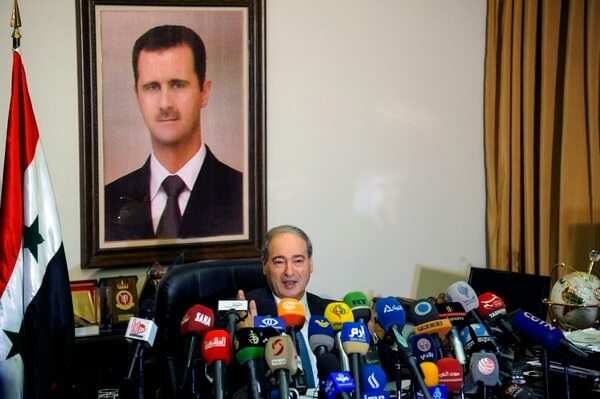 Syria’s deputy foreign minister Faisal Mekdad denied opposition charges that government forces used poisonous gas in their attacks on some suburbs of Damascus. Mekdad said at a news conference Saturday that insurgents groups in eastern Ghouta are preparing “to fabricate” more such attacks to blame the Syrian army. While in Oman, Mattis planned to meet with the country’s supreme ruler, Sultan Qaboos bin Said, on Monday. Oman is a longtime security partner of the U.S., though some question whether it is facilitating, or turning a blind eye to, the movement of Iranian weapons to Yemen to aid Houthi rebels. Asked whether Oman is assisting Iran in this respect, Mattis said, “I’m not willing to say that.” He said he expects to discuss Yemen with Qaboos. Oman has long-standing commercial and political ties to Iran, an Omani neighbor and U.S. nemesis. Oman, which borders Yemen on the eastern edge of the Arabian Peninsula, has been ruled by the 77-year-old Qaboos since he took power from his father in a bloodless palace coup in 1970. After the 2011 Arab Spring, Qaboos is now the longest-serving Arab leader in the Middle East. While ostensibly a member of the Saudi-dominated Gulf Cooperation Council, Oman has struck out on its own diplomatic path in the region. Oman was the site of secret talks between Iran and the U.S. that birthed Tehran’s 2015 nuclear deal with world powers. Oman also has negotiated to help release Western detainees in Iran, as well as Yemen, in recent years. Anthony Cordesman, a Middle East expert at the Center for Strategic and International Studies, said Saturday that Oman’s role in the Persian Gulf is important to the U.S. at a time of sharp divisions among the Gulf Arab states, civil wars in Yemen and Syria, and growing Iranian influence in Iraq. “The pattern in the Gulf is one of deep concern for the U.S.,” Cordesman said. Mattis said he also will visit Bahrain this week. It is home to the U.S. Navy’s 5th Fleet.